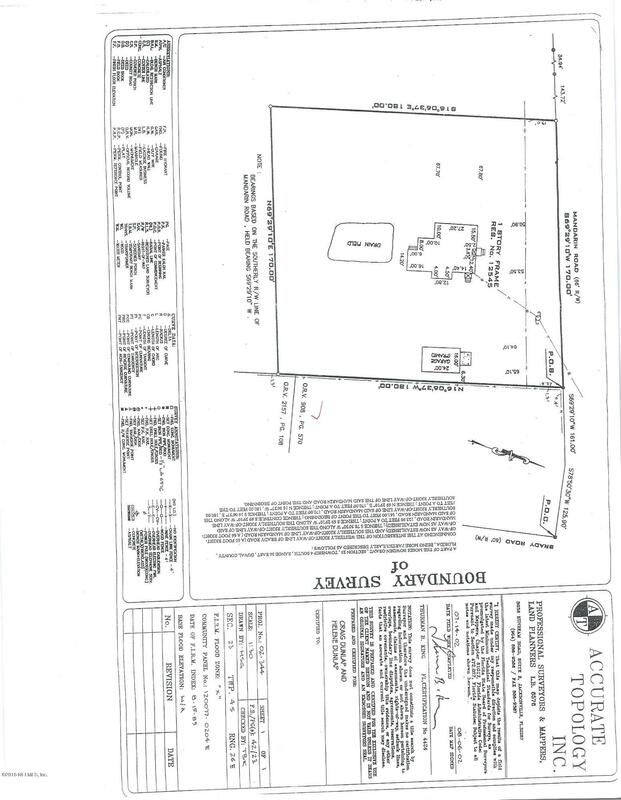 3 acres+- consist of 12545 and 12563Mandarin*Original family homestead*Downsizing*High/DRY*Deep Well*Two 1950’shomes given no value/could be relocated/donated. Sellers LIVING on property NOW. DO NOT APPROACH without listing agent.DO NOT WALK PROPERTY without LISTING AGENT.Agent will make showing convenient to interested BUYERS.LOTS of Citrus trees could possiblyenhance new usage. 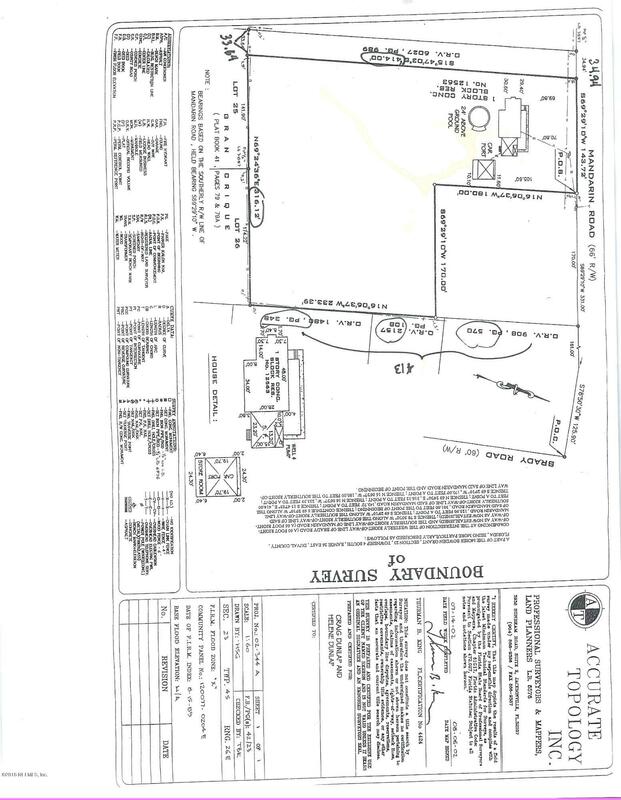 Buyer to verify size etc.Older survey available*RARE treasurelocated feet from community center*Community Park*Historic AREA*Over 300’onMandarin Rd. *and Backs to GRAN CRIQUE(316’+-)RIVERFRONT ESTATES across street*IDEAL ESTATE LOT*POSSIBLE INTIMATE ENCLAVE !!!! Do Not Let this SLIP..SLIDE..AWAY !!!! START PACKING !